Needing Something Awesome To Up Your Carry Game? 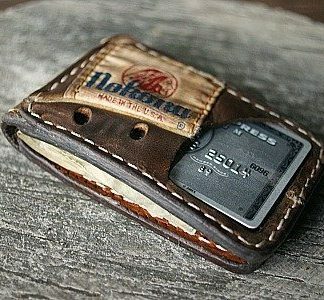 Nothing is more nostalgic than a wallet made from baseball glove leather. This great piece is combined with military canvas to perhaps show two ideas that are meaningful to a man. Try our wallet, made from your own glove to really get the experience of owning a precious treasure.